This bag has been designed to easily fit the majority of walking frames. 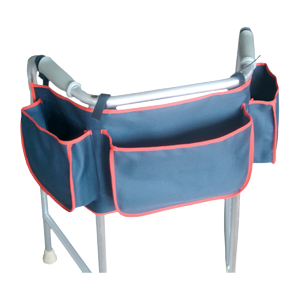 Universal Walker Pouch...This bag has been designed to easily fit the majority of walking frames. It has three pouches and is secured with velcro. It is available in Navy with Red trim.